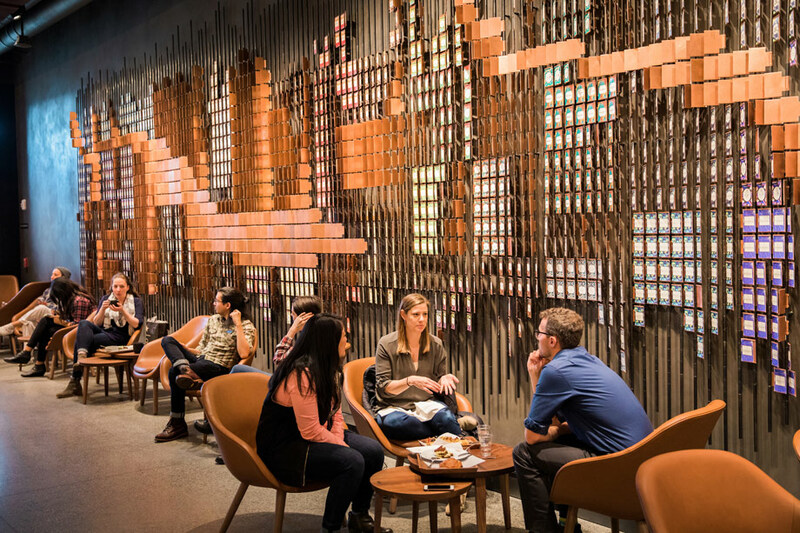 Starbucks is enhancing the customer experience with an infusion of tech at its experiential outpost. Starbucks Reserve SODO, which opened two and a half months ago, is the first of its kind, fittingly located on the ground floor of the company’s global headquarters in Seattle. Besides coffee and baked goods, the new store incorporates three taps: cold Brew coffee, Nitro Cold Brew and Nitro tea. Expanding beyond its usual selection, the location also includes a mixology bar and dining from Princi Pizza. Orders are taken by staffers equipped with tablets and software from Microsoft, another Seattle staple. The whole atmosphere is completed with chic and cozy decor, an installation made up of informational coffee cards, glass walls and inviting seating arrangements. The plan is to build 1,000 more stores like it, and find organic ways to include the technology in all Starbucks stores around the world, including devices like SODO’s Clover X, which can grind and brew a cup of joe in 30 seconds. The coffee company has already been making strides by using tech to ease consumer transactions, with a successful mobile app, logistics initiatives and advanced coffee-making machines. The trick is that the digital is always bolstered by human interaction.